Sony VAIO E Series SVE14135CXP is perfect for work and entertainment. You have the best features like i5 dual core processor speed and power, 6GB RAM for ease of multitasking, beautiful Sony screen, comfortable keyboard, long battery life and of course Sony quality. It is just perfect for entertainment and work. • 2.6 GHz i5 dual-core processor with 6GB RAM lets you work on many programs at once efficiently and fast. You feel the power of i5 processor when you are working with high memory programs, especially with the ability to go from 2.6GHz to 3.2 GHz with Turbo Boost Technology. • 1 TB Serial ATA hard drive means you have quite a bit of space for storing all your pictures and videos. • Screen quality is what you would expect from Sony HDTV engineers. You have the bright 14 inch LED backlit screen with native HD 720p display and realistic picture quality with Intel HD Graphics 4000. • Built-in stereo speakers with Clear Phase technology and xLOUD volume-boosting technology. 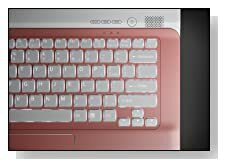 • You get the comfortable typing experience with the backlit chiclet-style keyboard and large intuitive touchpad. I quite like the keyboard on the Sony Vaio E series, it seems to be very well designed with quiet and smooth keys for user satisfaction in mind. You'll understand what I mean when you're using it. • 1.3-MP HD webcam with microphone, HDMI port to connect your laptop to a larger screen, CD/DVD player/burner, Wireless-N Wi-Fi, Gigabit Ethernet (10/100/1000), Bluetooth 4.0 , 1x super fast USB 3.0 port and 3 x USB 2.0 ports, VGA video output, secure digital memory card slot. • Operating system is Windows 8- 64 bit with its customizable tiles. • Compact, modern and sleek looking, portable with 5.3 pound weight and 1.39inch thickness. • 5300 mAh battery gives you about 6 hours of battery life at default settings. 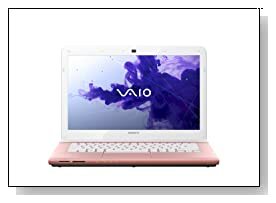 Pros: Fast and powerful with i5 processor - Rapid wake feature (you don't have to ever shut it down- just close the lid, the battery will last a long time) - Backlit comfy keyboard - Sleep and charge USB port - Great bright screen - 6 hour battery life - Beautiful design and colors. Conclusion: Sony Vaio E Series SVE14135CXP is quite a capable (performance, power, speed) notebook with beautiful looks.. Plenty of storage space, best keyboard design, quality LED backlit screen, long battery life despite all the power and the trust you get from Sony brand at an affordable price. It is quite a good choice for home, school or work. So well worth checking out!